We are The Gold ATM – the highest-reviewed gold buyer and diamond buyer, as well as estate jewelry buyer in the city of Atlanta. Apart from buying fine gold, diamonds, and estate jewelry, we are also known for teaching our customers about their pieces. Today, we’d like to teach you about different types of diamond cuts for engagement rings. When it comes to evaluating diamonds, the 4Cs are essential; they stand for carat weight, color, clarity, and cut. Although some people think that the shape is one of the 4Cs, it clearly isn’t. However, it is an important factor to consider when buying diamonds, as it refers to the physical form of a diamond (which appeals to the eye first). Many of our customers aren’t sure about the difference between the shape and the cut. In fact, these two things are completely different. As we already mentioned, the shape refers to the appearance of the diamond. The cut, on the other hand, determines the diamond’s ability to reflect light. There are 10 most common diamond shapes: pear, cushion, round, oval, emerald, princess, heart, Asscher, marquise, and radiant. We are sure that some of them are familiar to you. When it comes to cuts, diversity exists as well. A cut of a diamond refers to its angles and facets; their number, symmetry, and proportions determine the way light reflects out of a diamond. Skillfully-cut diamonds will reflect as much light as possible from the top face of the crystal; that will make it look brilliant and vivid. This feature is essential as it directly affects the value of a diamond. Diamonds can be cut too deep, too shallow, or perfectly cut. In the first case, light escapes through the sides of the stone; in the second, through the bottom, and in the third case, there is maximum light and brilliance on the top. We have over 250 five-star reviews on Google, and we are an A+ accredited business with the BBB (Better Business Bureau); that makes us the most trusted and reputable gold buyer, diamond buyer, and estate jewelry buyer in Atlanta. 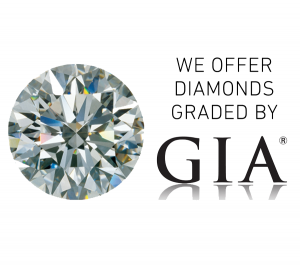 Moreover, our diamond buying services are also famous in neighboring communities such as Piedmont, Buckhead, and Hartsfield. We provide free jewelry evaluations for all our customers; in addition, we can show them the finer details of their fine jewelry using our digital microscope. Our environment is safe, secure, and entirely pressure-free; our customers know that they don’t have to sell if they are having second thoughts.